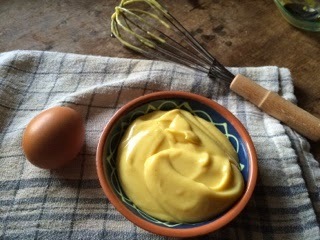 Make your mayonnaise simple at home! 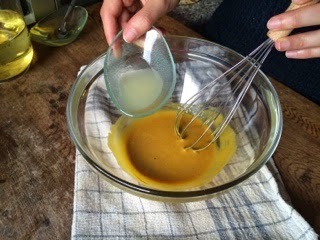 This is the basic recipe you can add desired flavours. 1. 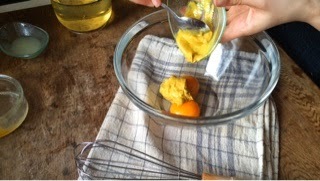 In a medium bowl, whisk together the egg yolks and mustard for about 3 minutes. 2. 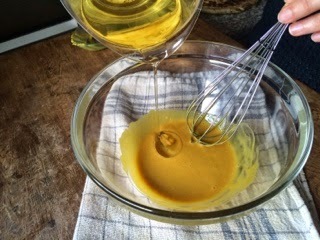 Add the oilvery slow thin stream, whisking constantly, until mayonnaise is thick, about 8 minutes. 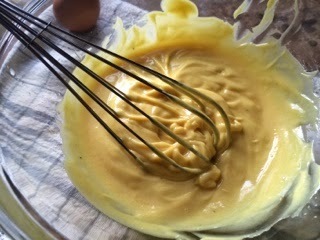 The mayonnaise will be lighter in color. Season with pepper ans salt. 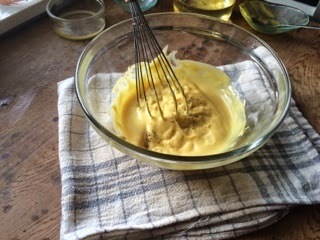 This homemade mayonnaise should be stored in a screw-top jar in the refrigerator for no longer than a week.